One of the very first contributors of photos and information for my American Bandstand tribute is a very nice lady by the name of Marian Driscoll. It was not long after my website opened in 2004, that Marian made contact with me and we have been on-line friends ever since. We have never met, but we have exchanged many e-mails and talked just a few times by telephone. Marian has mainly contributed a good many photos and text on Kenny Rossi, Arlene Sullivan (with their permission). She has met them and become friends with them during the times she visited Philadelphia and went to the show American Bandstand. She has also sent some photos on Carole Higbee who she visited in her home and on the show. I cannot thank Marian enough for her photo collection and personal remembrances of that special time in history when American Bandstand came out of Philly. (The photo is from Marian during her high school years when she visited the show and also watched on TV like so many of us). You will see Marian in a few of the photos in the galleries. Marian now lives in Ohio and has a daughter and granddaughter. I have enjoyed hearing of her family since 2004 to the present. Eleanor Ligman was one of the first two contributors to my Early Amerian Bandstand Tribute--the other being Marian Driscoll (See above). 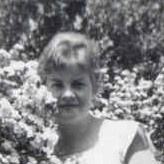 Eleanor hails from Wisconsin, now has a family and grandchildren, but this picture of her was from 1959--during the years of Early American Bandstand. Eleanor grew up in a farm area and to this day lives in that same area. 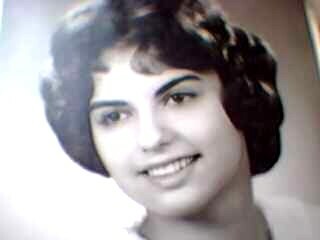 During her teen years, she followed American Bandstand on TV as I did, but she went further and in later years was able to visit some of the Regulars in Philadelphia like Carole Scaldeferri and Joe Fusco. She obtained pictures of many Regulars through fan clubs and just some of those Regulars are Don Cione, Frani Giordano, and Nick Gaeta, I will gradually be re-adding those for your viewing pleasure. I appreciate all the pictures and information in text that she provided through the years, including so many of the birthdays of the Regulars and where they went to school, etc. In some of the gallery pages you will see vintage pictures of Eleanor. Pictured here are Bonnie Baker on the left and Terry Tolas on the right. Picture was taken Oct 1999 of life-long friends who shared a love of Philly American Bandstand and have both shared their personal collections with me for all of you to enjoy. Their pictures were sent exclusively to me to add to my website and if you see them elsewhere on the WEB that is only because people have pinned them or downloaded them, etc. I am very much appreciative of the contributions of these lovely ladies so I send out special recognition thanks to them! Pictured here is Don Gillis who was one of my earliest contributors to my website. Don had what I believe to be one of the most intact and special photo scrapbooks of early American Bandstand that I have ever seen. He very kindly shipped the entire scrapbook to me for adding the pictures to the website and I then returned his lovely collection to him. In addition, he sent some very old fan club materials which explained many of the photographs that were seen by fan clubs in the day. I thank him very much for the kindness he showed in making available his personal collection of photos to share with visitors here. Many of the photos he took himself when he visited the American Bandstand studio in Philadelphia in the early days of American Bandstand between 1957 and 1964.